So there’s a new barbecue restaurant in Fitchburg and I hate to admit that I didn’t actually get BBQ on my first visit. The good news — everything I got was tasty so I’ll be heading back soon to try the BBQ. The Thirsty Goat on Cahill Main in Fitchburg took over an old Mexican restaurant spot I think. The building is rustic and cozy inside, but the fire pit in the back is what caught my attention. There’s a deck off the back of the building overlooking Fish Hatchery Road, and my friend Nicole and I definitely spotted a fire fit back there…I’m thinking this place will be a regular stop on my patio rotation this summer! 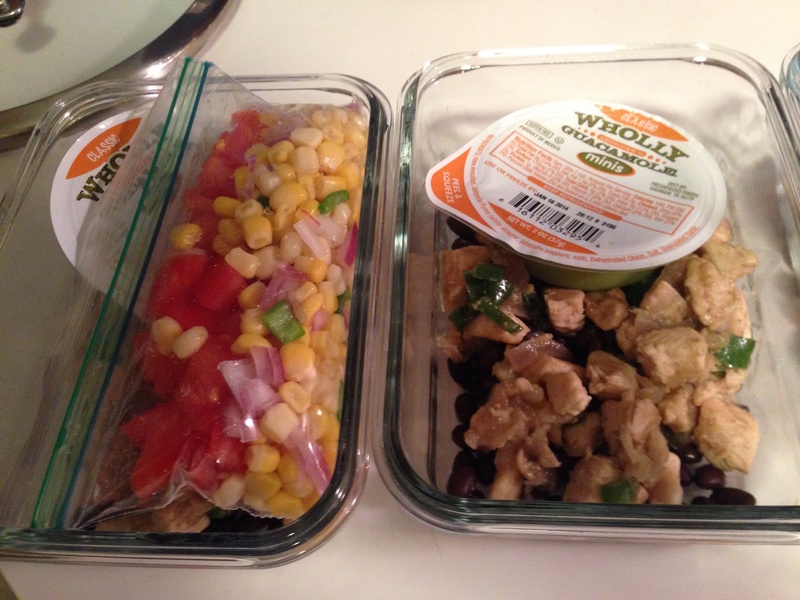 On to the food…that isn’t BBQ (sorry!) but was still good. I must have forgotten where I was and what type of restaurant I was in when looking at the menu because we ordered broasted chicken and the sausage plate…and no barbecue. But because we work hard and deserve a treat…we started with the cheese curds. The almost overflowing basket came with what were obviously hand-breaded cheese curds. Here’s your clue: If the curds are all the same shape and size…they came out of a freezer box — if they’re random shapes and sizes…they were probably hand-breaded. These were hand-breaded, fried to a perfect golden brown, just salty enough and came with the perfect dipping sauce — housemade ranch! Nothing bad to say about the curds! Nicole and I decided to each get an entree and split it. I got the sausage plate with mac and cheese and coleslaw. It also came with corn bread. Their sausage that week was an Italian sausage. It was perfectly grilled with crispy grill marks on the outside and had a good flavor. I appreciated that it wasn’t too greasy and you get enough to feed two! BBQ restaurant mac and cheese is never anything special and the Thirsty Goat’s was right on par with that. The coleslaw wasn’t unique, but it was good. I don’t remember much about the corn bread, but only because I ate it so fast! Nicole got the half chicken and it was good…but it was chicken. I have zero complaints about the chicken…except that it wasn’t BBQ brisket! FOOD NOTES: Good ahead…get the cheese curds at this BBQ restaurant…you won’t be disappointed! Our lunch at the Thirsty Goat was very good, but I do regret not getting BBQ…guess it’s just a good reason to go back again! Oh, and don’t forget about the fire pit for this summer! If it’s a Friday night, you might find me there! When it’s sunny, feels like it’s 130 degrees and you’re walking around on blacktop the last thing you want to do is eat something heavy and greasy…well it’s the last thing I wanted to do during Atwood Fest at the end of July. Everyone else seemed perfectly fine eating hot, fried food, but my friend and I went for a mediterranean option from the Banzo food cart. 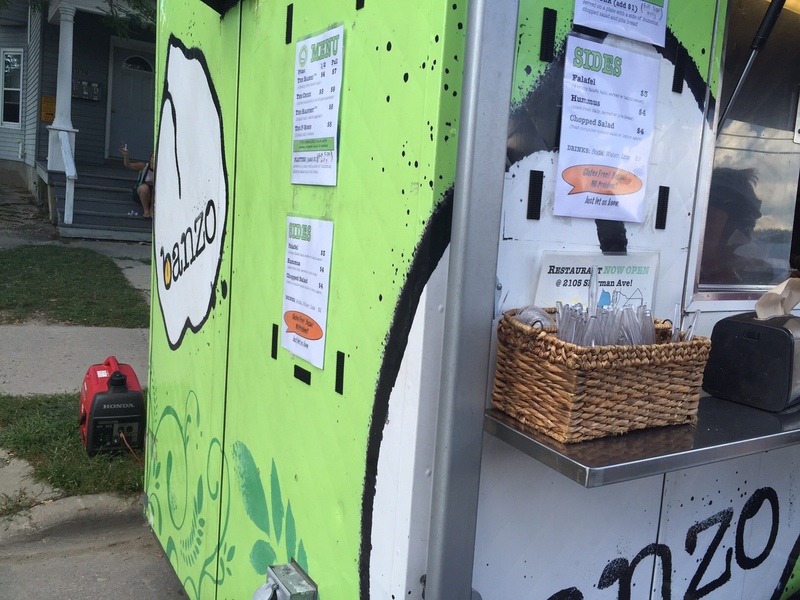 The food cart offers a couple different ways to get their falafel, chicken or kebabs. You can get them in a pita, on a hummus plate, over rice with hummus on a platter or as a salad. I got the falafel and chicken combo platter, which comes with mediterranean chicken, falafel, rice, hummus, salad and pita. 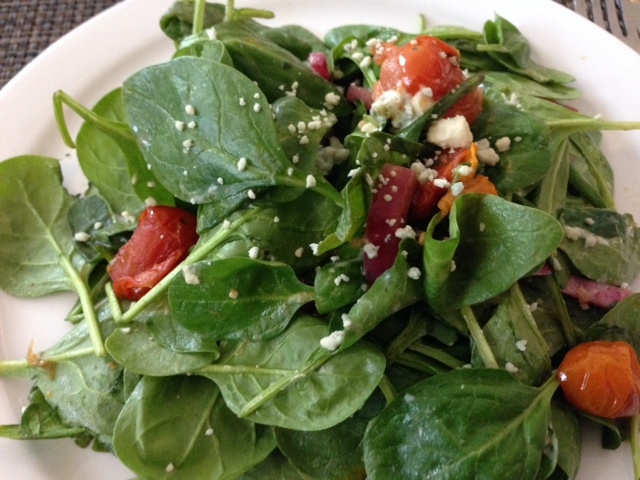 The salad was fresh and crunchy…a fantastic, fresh option on a hot day. The rice wasn’t anything special, and the chicken was good…but the stars of the platter were the falafel and the hummus. 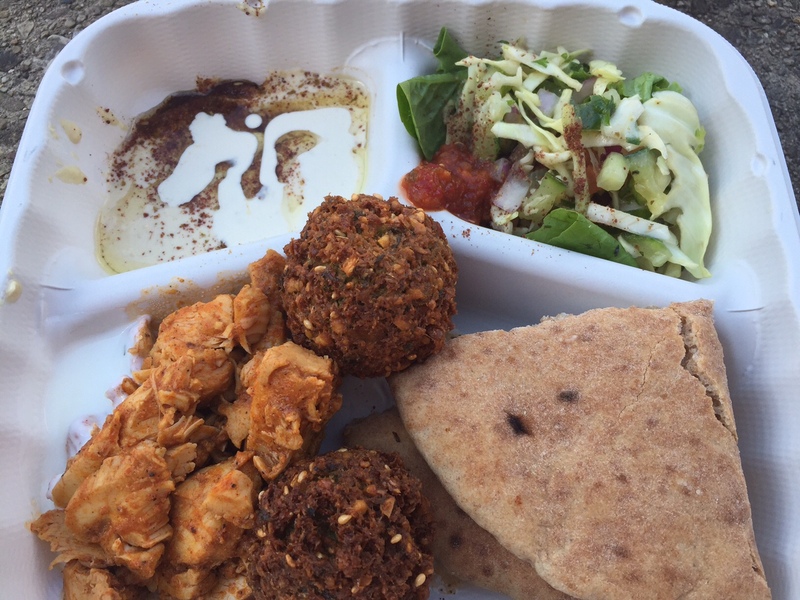 Everything was better dipped in the garlicky, creamy, earthy hummus and the falafel was crunchy on the outside, fluffy on the inside and had a great flavor. FOOD NOTES: Anything Banzo serves would be a great option to other festival food, especially when it’s hot and steamy out. Next time I’ll get the full falafel platter instead of doing the chicken combo. I’d also like to try the salad with falafel. I’ve been to The Wise twice — once for lunch during restaurant week and once for brunch on Game Day. Both times I enjoyed my meal, but the third time I went was after the new chef released a revamped menu and it was even better than the first two visits. The revamped menu also came along with a revamped dining room — they made it bigger and homier. We started with a tray of snacks on a stick. 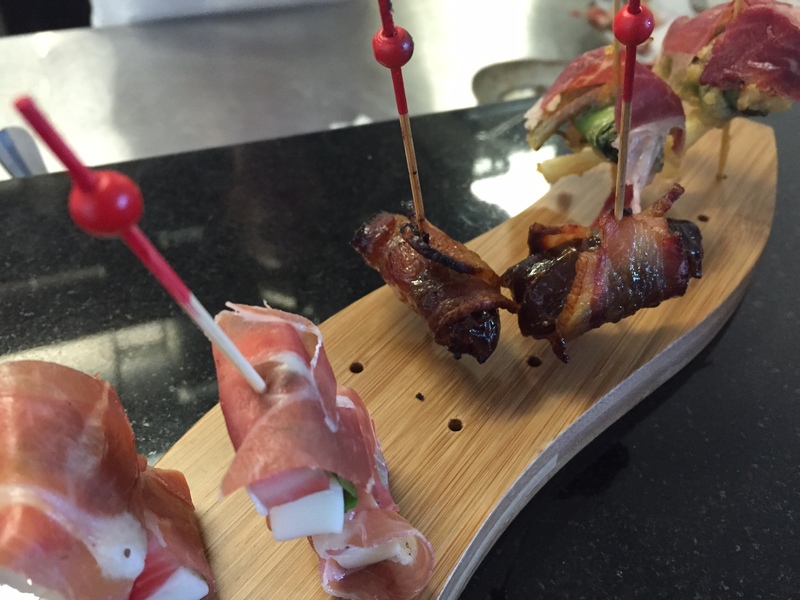 We got the date stuffed with chorizo wrapped in bacon; jamon iberico de bellota with tempura ramp; and prosciutto, Carr Valley cocoa cardona, strawberry and mint. The bacon-wrapped date was good. I liked that it was stuffed with chorizo instead of cheese, but the other two out-shined the date. The prosciutto and cheese was sweet, salty and refreshing. It was one perfectly balanced bite. The star of the tray was the ham with a tempura fried ramp. The garlicy ramp wrapped in fancy, imported ham was something spectacular! I loved it. 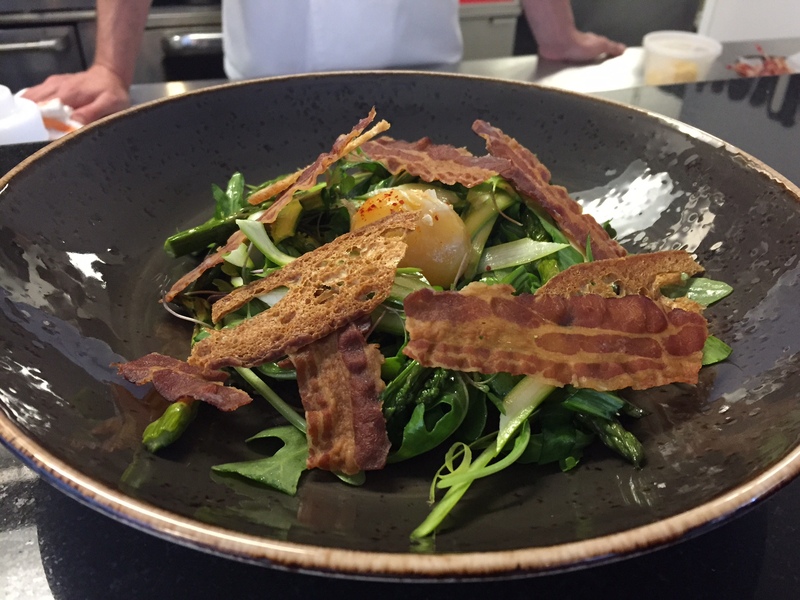 We also got the asparagus salad with arugula, poached egg yolk, croutons and crispy bacon. The salad also has a light vinaigrette on it. This one was good, but a little disappointing based on the ingredients. I thought with bacon, egg yolk and arugula it would be a very flavorful salad…but it was just missing that something special. Maybe the egg yolk was too poached…maybe the bacon was too crispy…I’m not sure, but I wasn’t blown away. The last thing we got to try was the smoked half chicken. This dish was pretty special. 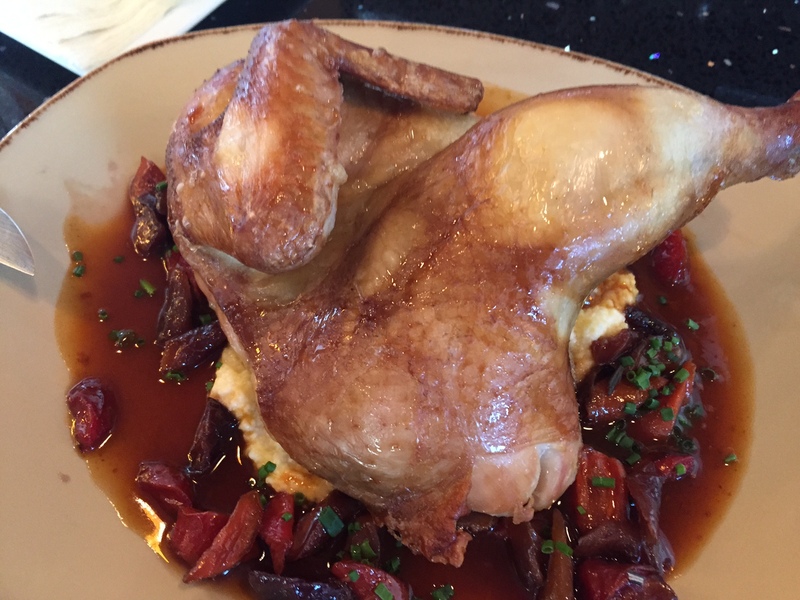 It comes with a BBQ jus, cheddar spiked polenta (hiding under the chicken) and honey glazed carrots. The polenta was creamy and had the perfect amount of cheesy flavor. And the carrots were great — spring carrots are super sweet and there was just enough glaze to work well with the smokiness of the chicken. The chicken was juicy and the smoky flavor was great — not overwhelming, but just enough to make the chicken super flavorful. The one downfall is that it’s a little hard to eat…you literally get half a chicken and a knife…so your plate looks a little like a massacre when you’re done. FOOD NOTES: I’m glad I got to eat at The Wise before the revamp because it gave me a good base for comparison. The revamped menu definitely offers higher-quality dishes with special ingredients and flavor combinations. Tapas, salads and chicken are pretty common menu options, but these were elevated with fancy ingredients and unexpected flavor combinations. When you go to The Wise, go with an open mind and don’t be surprised if you come across something that sounds weird on the menu but that actually tastes great! 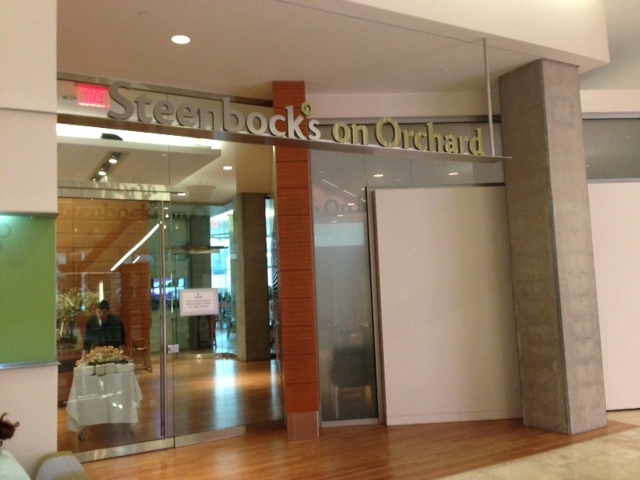 Steenbock’s on Orchard has been a mystery to me since it opened. It’s a Food Fight restaurant located inside the Wisconsin Institutes for Discovery research building right in the middle of campus. 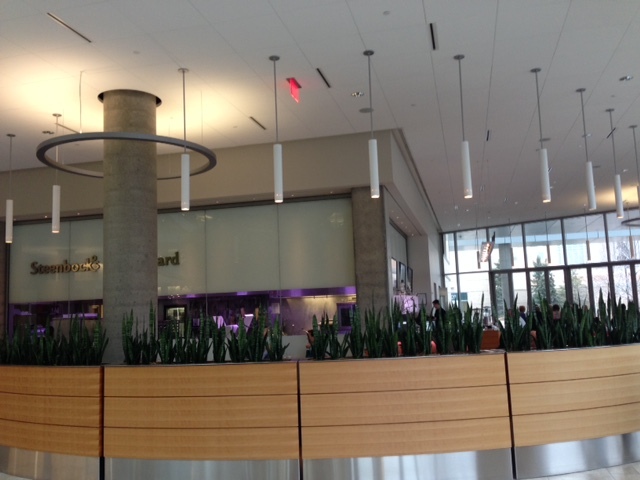 The building is beautiful and open and feels very academic with a ton of UW pride dotted throughout the main floor. The website describes the menu as “designed to highlight local and seasonal ingredients at their best.” They serve “local meats, cheeses and vegetables while making our own jams and curing our own meats in our preservation kitchen.” The mix between academic research labs and this restaurant has always seemed odd, but intriguing. I’m torn about the location. The building was beautiful and I love being on campus, but getting there was painful. All three lots somewhat near the WID building were full and we were extremely lucky to get a parking spot on the street by the business school. If I’m ever back on campus regularly or for a special occasion I would totally go to Steenbock’s, but I won’t go back just for the food…it’s just too hard to get to! My restaurant week meal started with a spinach salad that came with warm bacon dressing. The hearty spinach was the perfect base for the bacon dressing and the roasted tomatoes added a much-needed tangy flavor. I didn’t love the blue cheese on top, but I’m not a fan of blue cheese to begin with. 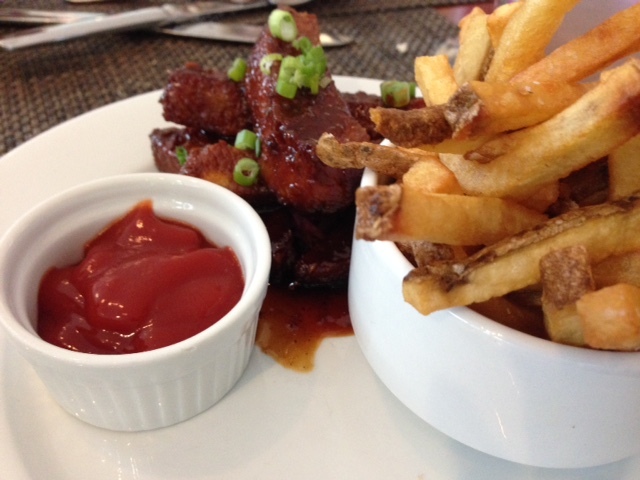 My friend Nicole got the Korean BBQ ribs with french fries for her entree. The ribs were a little tough, but the sauce was tangy and had a good spice. I didn’t necessarily think it tasted like Korean BBQ, but they were good. The french fries were my favorite part of her dish! They were crispy, hot and perfectly salted. I decided to go with the chicken, which is odd because I usually don’t get chicken at restaurants because I make it so much at home. The best part of the chicken dish I got was the plentiful amount of bacon that came with it. 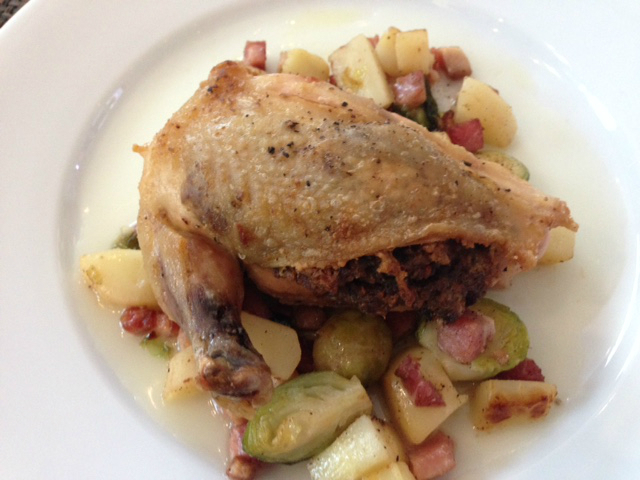 The brussel sprouts and potatoes came in a light olive oil sauce with crispy pancetta…I usually like brussel sprouts, but adding pancetta makes them so much better! The chicken was moist and the skin was crispy, but the bacon crumbles between the meat and the skin was what made it special. I’m not sure what was in the crumble other than bacon, but it was super savory and good enough to make me want to order the chicken dish again. Bacon makes everything better! They only had one dessert option, but it was so good I wasn’t upset with the lack of choices. The marble croissant bread pudding was something so unique I’m not sure how to start explaining it, but I’ll try — it was bread pudding made with flaky, buttery chunks of plain and chocolate croissants. There was some sort of sweet sauce on top, some powdered sugar and two raspberries. 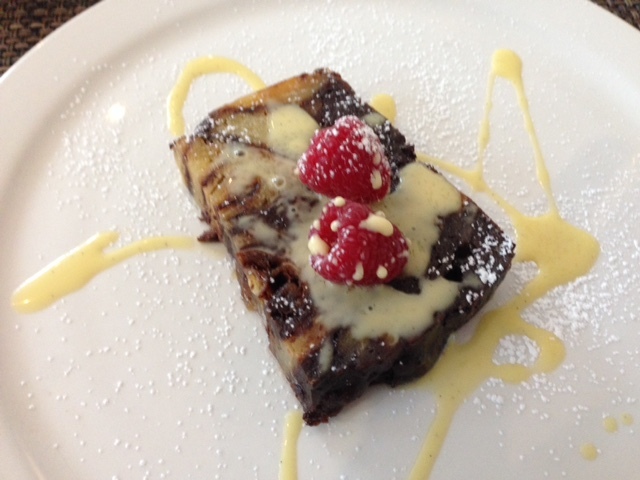 The bread pudding itself was so good, it didn’t need the toppings. The plain croissant was sweet and buttery, while the chocolate croissant was rich and slightly bitter — the combination made for a substantial, but not too sweet dessert! FOOD NOTES: The difficulty level of getting to Steenbock’s if you’re not already on campus really overshadows the tasty food. My Restaurant Week appetizer was an unimpressive salad, but my chicken entree was stellar and my dessert was probably one of the top 3 Restaurant Week desserts I’ve had over the last 6 years. If you’re on campus and looking for a great lunch…check out Steenbock’s, if you’re not already on campus look somewhere else. 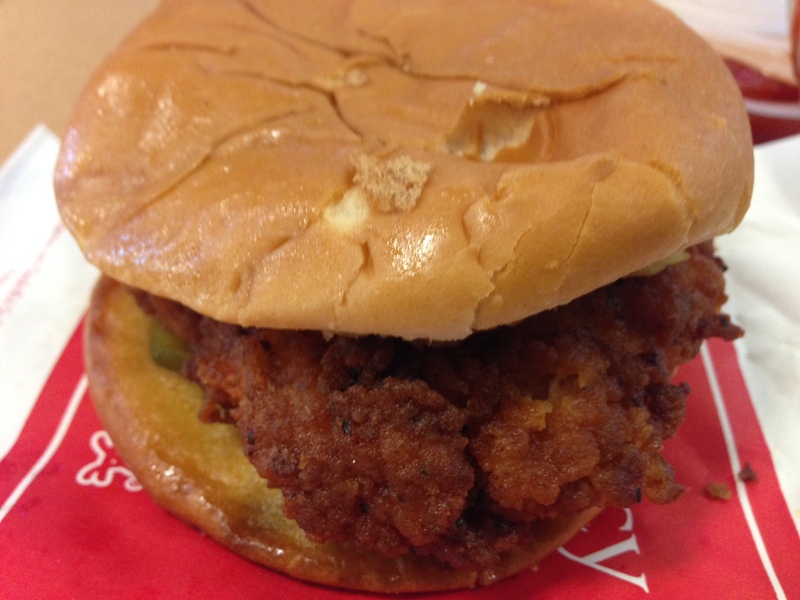 There are three very distinct sides of the Chick-fil-A debate: It is the best chicken sandwich even, it isn’t a big deal and politically-charged avoidance. After two opportunities to try their infamous chicken sandwiches I am in the second camp. I wasn’t impressed and was actually disappointed on my second visit. I had high hopes for the new chain that opened near West Towne Mall at the beginning of winter, but my meal was less than impressive in mid-December. My mom and I went for lunch on a Friday. There was an extremely long line and tons of people, but the line moved fast and we were able to stealthily secure a table. We decided to order a regular chicken sandwich, a spicy chicken sandwich and an order of waffle fries. Both sandwiches came with a bun, a fried chicken filet and a pickle. The buns were typical, bad fast food quality, and the pickle was pointless. 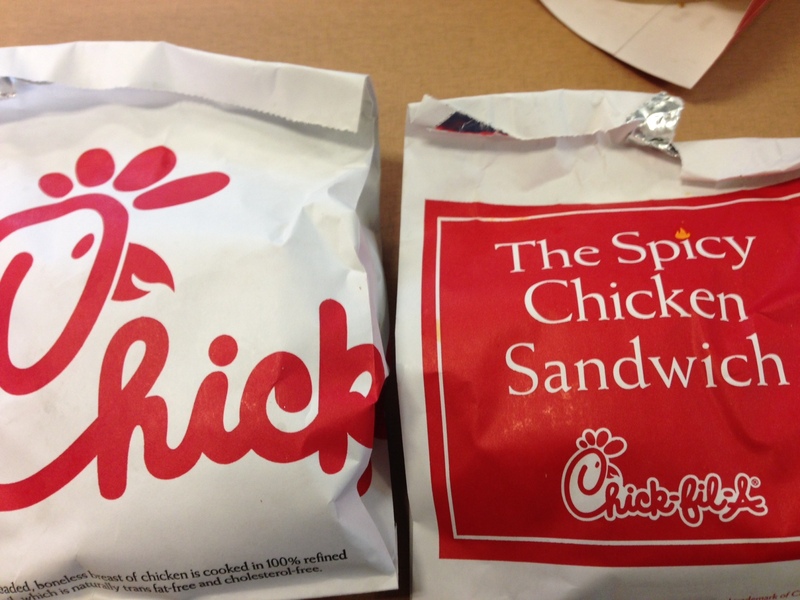 The chicken was definitely a higher quality than other fast food restaurant sandwiches, but it wasn’t spectacular. The batter had a good flavor, but it was soggy and I wanted it to be crispy. The spicy sandwich had a good spice, but the batter was also soggy. Both sandwiches were pretty dry and benefited from the addition of mayo. As for the waffle fries — they were edible at best. They were lukewarm, barely seasoned and also slightly soggy. All three of those qualities add up to a failing grade for the waffle fries in my book. 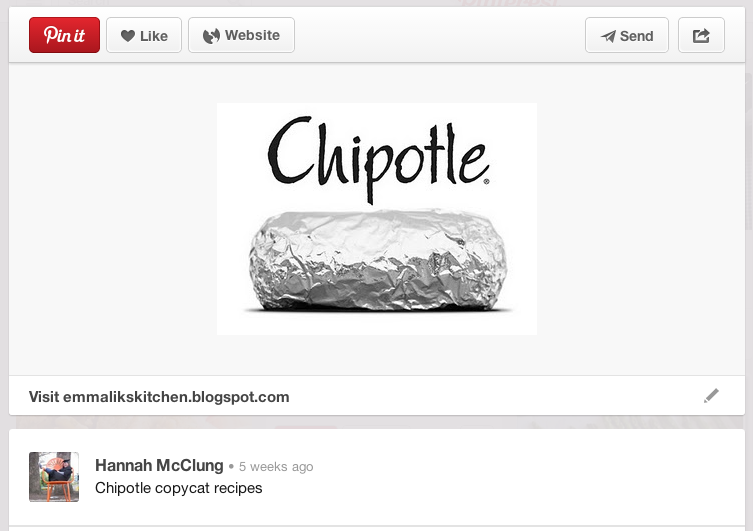 FOOD NOTES: I’ve decided I most likely won’t be going back to Chick-fil-A for a while. I wasn’t impressed with the sandwiches and the waffle fries were a big letdown. The one high note of our visit was how nice the staff was even though they were extremely busy. While the sandwiches are a higher quality than other fast food options, they weren’t tasty enough to bring me back. Do you like Chick-fil-A? 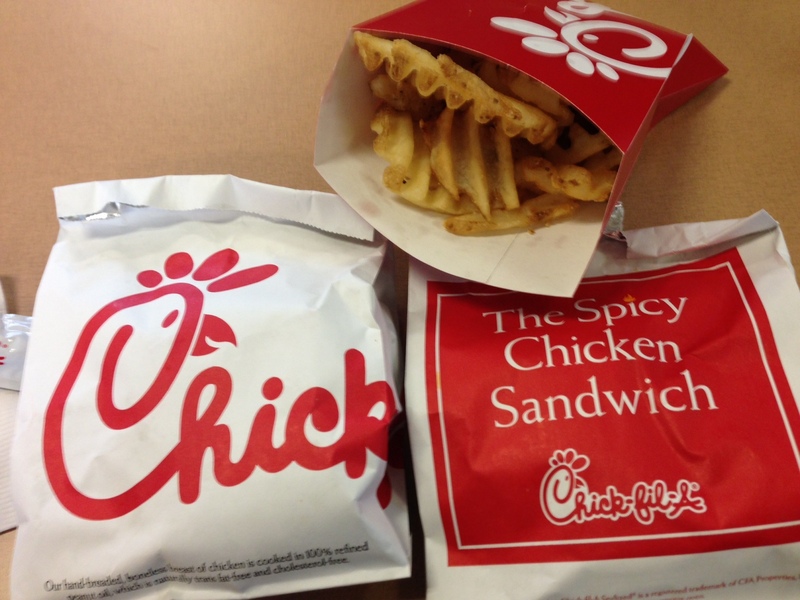 What’s your favorite fast food restaurant? Nonno’s Ristorante Italiano opened last December in a spot on Whitney Way that used to be a Mexican restaurant. I’m not sure why the Mexican restaurant closed, but I never ate there and I never heard anything good about it. But I had heard some decent things about Nonno’s after it opened. I figured lunch would be good opportunity to try it, because hopefully it wouldn’t be too busy and the prices would be lower. The decor at Nonno’s feels a little strange. S0me of the dining room is brightly colored, and basically seems like they didn’t paint after the Mexican restaurant closed. There are booths by the windows with big built-up archways that make the rest of the dinning room super dark. 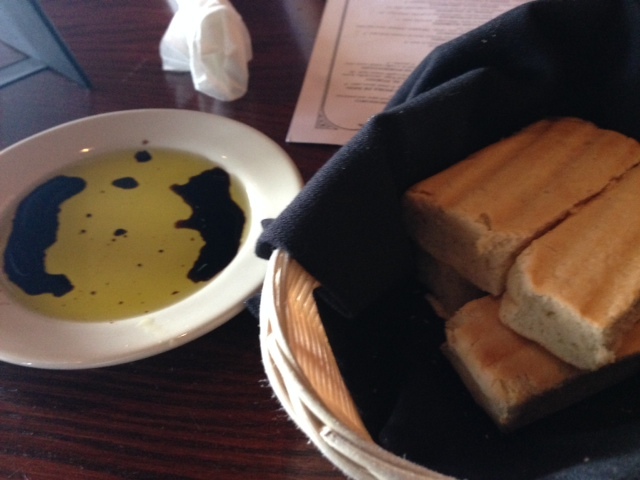 They brought out a basket of hot bread with olive oil and balsamic vinegar to dip it in. It was an odd type of bread, that basically had the consistency of thick, super soft breadsticks. The olive oil and vinegar was nothing special, but the bread with the mixture was a nice touch. 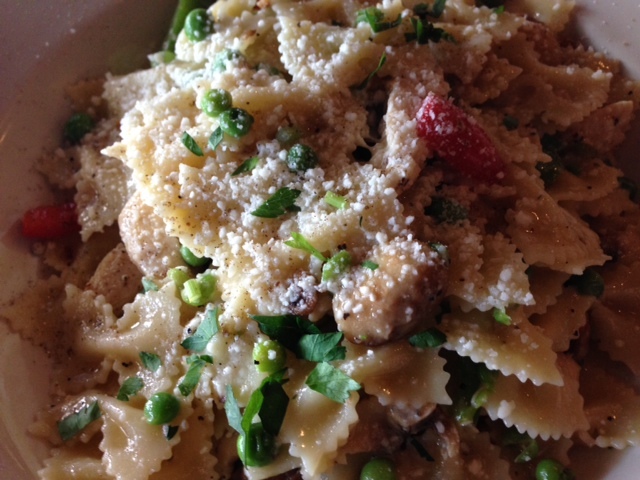 I ordered the farfelle rustico ($10), which is bow tie pasta with olive oil, garlic, grilled chicken, mushrooms, peas, onions, bell peppers, parmesan cheese and white wine. The pasta came out super fast and was extremely hot, but it cooled down so fast that it made me think it was microwaved. The sauce was light, but had absolutely zero flavor (I didn’t taste the garlic mentioned on the menu). The noodles tasted like they were out of a box, so if they were homemade they were done super poorly. Some of the noodles on the menu say they are homemade, but the farfelle does not say that. The chicken was OK…not amazing, but not super processed. It was probably taken out of a package precooked and they just reheated it. There were a couple chunks of mushrooms and a couple peas, definitely not enough to make them a substantial part of the dish. The bell peppers and onions were just as sparse. The portion size was pretty decent (I took enough home for lunch the next day), but the quality of the product wasn’t great. FOOD NOTES: The decor and location of Nonno’s is a bit off. The prices weren’t bad for the portion sizes, but they were a bit high for the quality of the product (microwaved pasta?). I was very unimpressed with the noodles and the processed chicken, but the flavorless sauce and lack of veggies listed on the menu put me over the edge. I will probably not be going back to Nonno’s.